Visit the Spencer’s Creek Crocodile Farm in Victoria Falls for a guided tour of the premises. Get a look at the Nile crocodile of the Zambezi and see their natural habitat as well as other African animals such as lions. 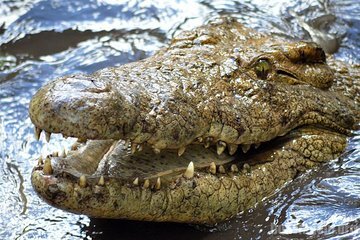 Learn about the conservation efforts to protect the wild Nile crocodile in Victoria Falls as you see hundreds of crocs on display.